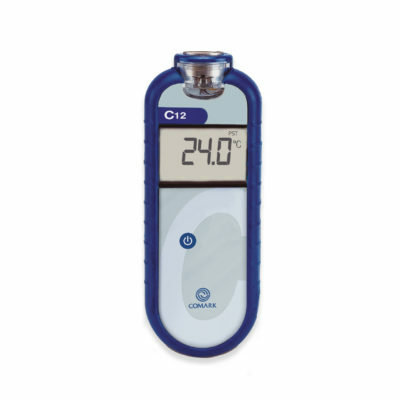 Using Comark HACCP Thermometers, gathering the data electronically has never been easier. 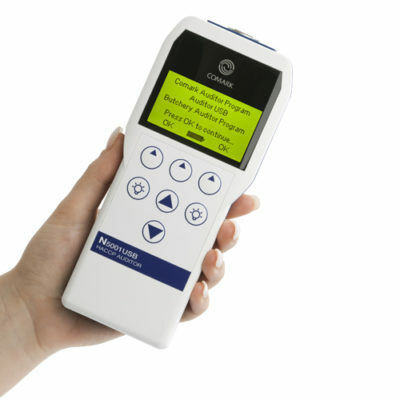 Hand-held instruments can be fully programmed to record information on all critical events in your HACCP plan, including temperature and cleaning checks. The Comark Kitchen Checks offering comprises the new Kitchen Checks App as well as access to the Kitchen Checks Dashboard. 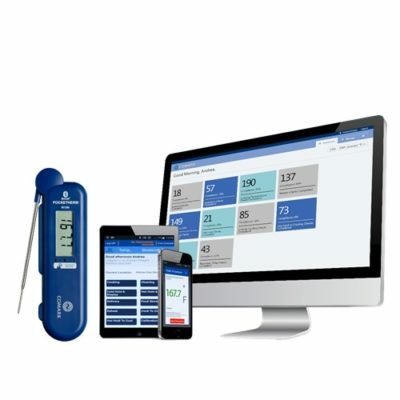 The Comark Kitchen Checks App can be used in conjunction with the Comark Bluetooth Thermometers to record the temperature checks required by your HACCP system, including Comark’s new Kitchen Checks Bluetooth Pocketherm, which has a thin-tip fold out probe that can be angled to suit your application. 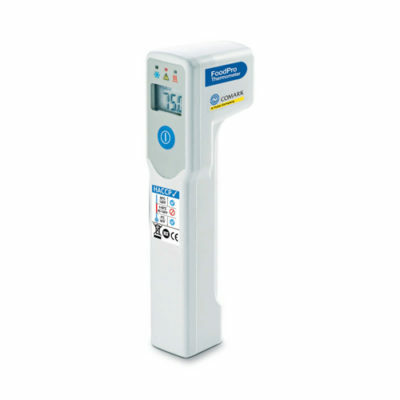 The KM400AP Waterproof Allergen Thermometer is colour-coded for food allergy procedures and features a thin tip for fast response times. 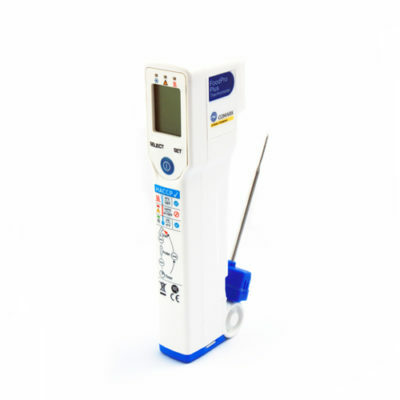 The C12 HACCP Food Thermometer is ideal for catering, food service and other food uses where colour-coded labels could reduce the risks from cross-contamination. 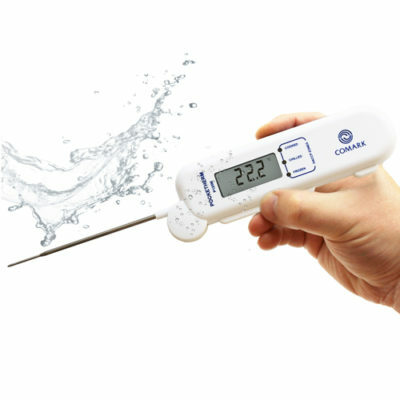 P125W Waterproof Pocketherm Folding Thermometer from Comark, it’s fast, it folds, it bleeps, it’s waterproof! Neat, Pocket Digital for quick checks on frozen, chilled or cooked food. P125W/82 Waterproof Pocketherm Folding Thermometer from Comark, it’s fast, it folds, it bleeps, it’s waterproof! 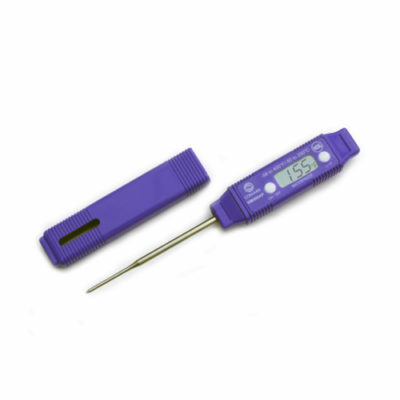 The P125W/82 complies with the United Kingdom Food Standards Agency “House Rules Temperature Control” for HACCP, that reheated food must reach an internal temperature of 82°C. With an upper cooked temperature limit set to 82°C, food is reheated perfectly every time. The FP Food Pro Infrared Thermometer offers quick temperature checks for all food applications. 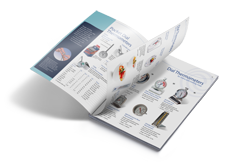 The C12/CAL HACCP Food Thermometer is ideal for catering, food service and other food uses where colour-coded labels could reduce the risks from cross-contamination. This version comes complete with a Certificate of Calibration (+5°C and +70°C). P125W/CAL Waterproof Pocketherm Folding Thermometer from Comark, it’s fast, it folds, it bleeps, it’s waterproof! Neat, Pocket Digital for quick checks on frozen, chilled or cooked food. This version also comes complete with a Certificate of Calibration (+5°C and +70°C). 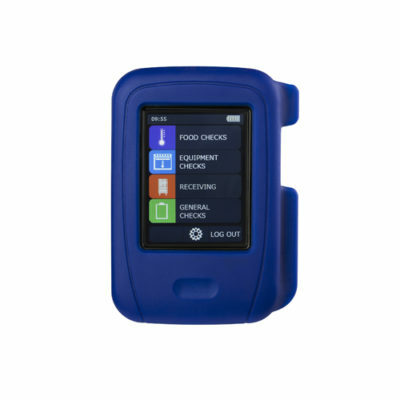 The HT100 HACCP Touch is an easy and cost-effective device for paperless collection, recording and storing of daily temperatures of critical items and checklists. 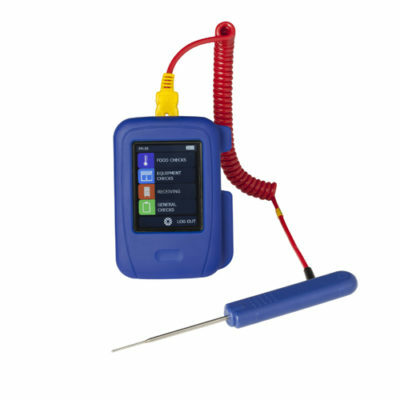 The HT100 HACCP Touch with PK19M Probe is an easy and cost-effective device for paperless collection, recording and storing of daily temperatures of critical items and checklists. The N5001USB HACCP Auditor is used in HACCP, due diligence and health and safety systems to log, monitor and manage data.